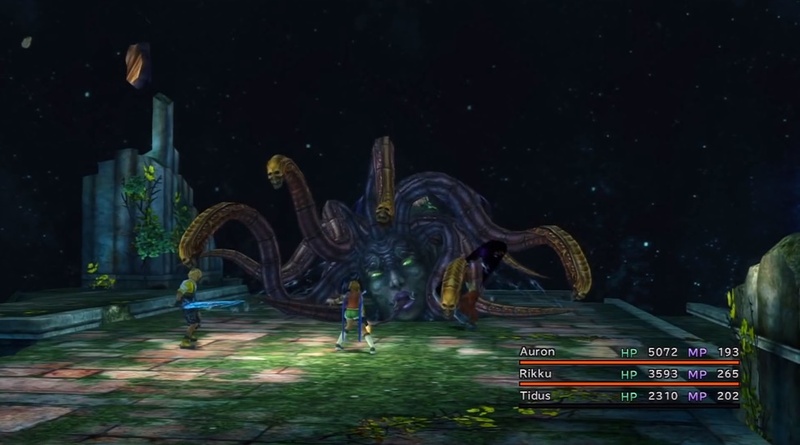 A complete walkthrough for Zanarkand Ruins in Final Fantasy 10 (FFX), including enemies encountered, obtainable items, and boss strategy guides. Friend Sphere Left dead end path from the road that triggers Seymour’s memory. Key Sphere (level 3) In a chest in the lower area when you reach the road that triggers Braska, Jecht, and Auron’s memory. Lucky Sphere Chest in the hallway going up to the Cloister of Trials. Magistral Rod Use the Destruction Sphere in the Cloister of Trials room after battling Sin aboard the Fahrenheit airship to get the chest containing the item. Proceed to the entrance of the ruins. Follow the path of cutscenes to the Cloister of Trials. Take the stairs to the Cloister of Trials. Leave the ruins to return to the airship. The path to the Cloister of Trials is quite short, though there are some items to pick up along the way. There is a chest at the top of the tunnel formed by debris. Walk a little ways forward and take the ramp on the right to come to the top and open the chest containing 10,000 Gil. Proceed forward until you come to a memory of Seymour and his mother. After the cutscene, get the Friend Sphere from the chest along the dead end path to the right. After you come up to the memory of Braska, Jecht and Auron, descend down the path on the left to get Key Sphere (level 3.) Come back up to the path indicated by the red arrow and continue forward until you reach another hallway. Get a Luck Sphere from the chest there. 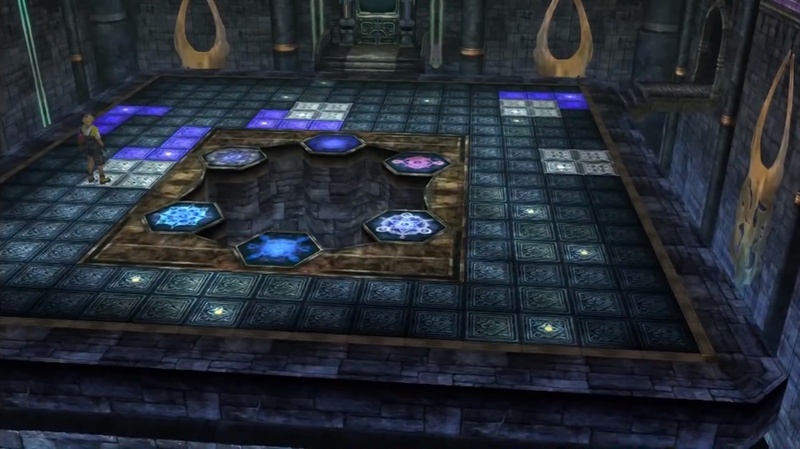 Coming from the stairs from the Zanarkand Ruins Dome path, you will reach the Zanarkand Cloister of Trials. 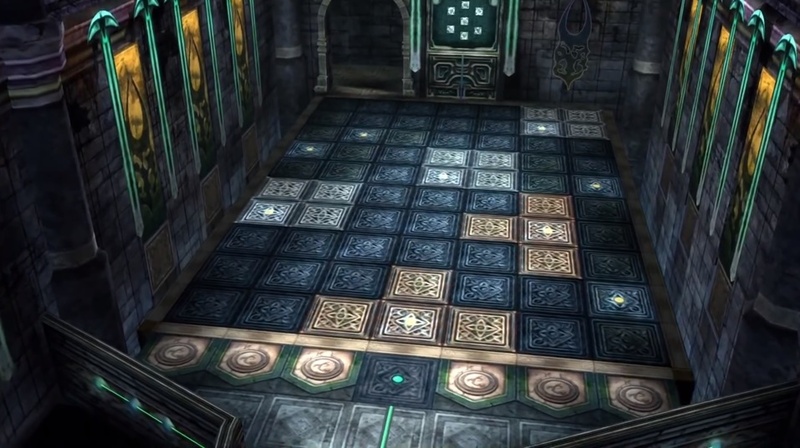 The dungeon features a memory-based puzzle game where you have to trigger a set of panels to complete the Yu Yevon symbol in one of the rooms. 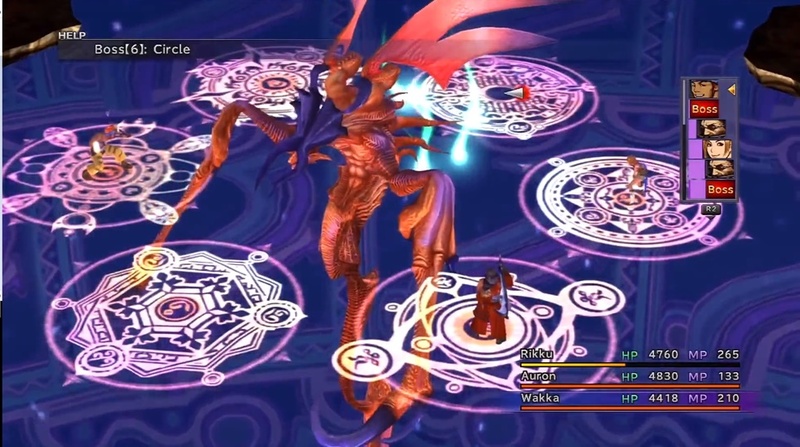 The battle has a special mechanic which allows you to move around the glyphs to avoid some of the boss’ attacks. Spectral Keeper is capable of attacking multiple members of the party, so try to spread out so he is not able to hit more than two party members at a time. Be sure to move out of the glyph when the Spectral Keeper summons a Glyph mine. This kills anything standing on it. Before the fight, it is recommended to fully charge everyone’s Overdrives, especially Yuna’s. Aeons will have one opportunity at most to use their Overdrive as the Spectral Keeper makes short work of them, especially with Glyph Mine. Be ready to heal Berserk several times, especially if you do not have equipment that grants immunity to it. To mitigate the boss’ strong physical attacks, try using Protect. 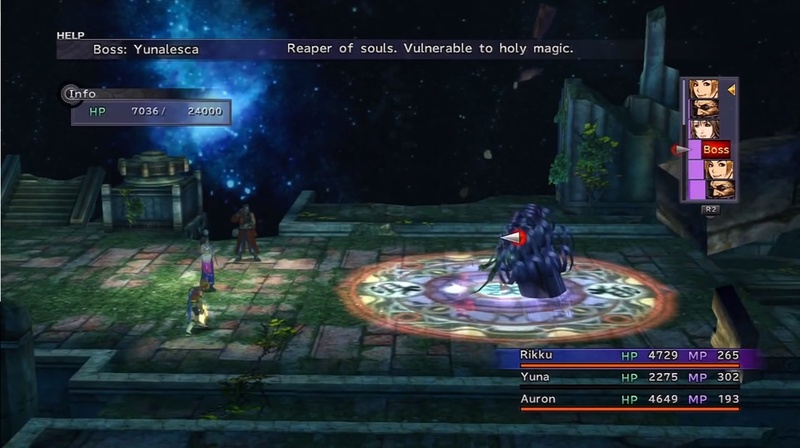 Use Auron’s Mental Break to lower its magic defense before bombarding it with Lulu’s spells. Afterward, unload on it with any powerful spells you have left. 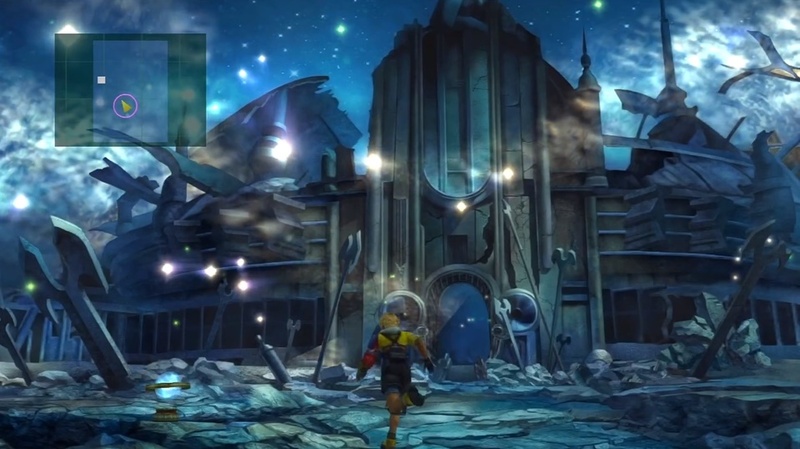 Have Tidus use Hastega early on in the fight to gain the speed advantage. Be ready with Remedies to heal characters inflicted with Silence, Sleep or Blind. Use Holy to deal a good amount of damage to her. 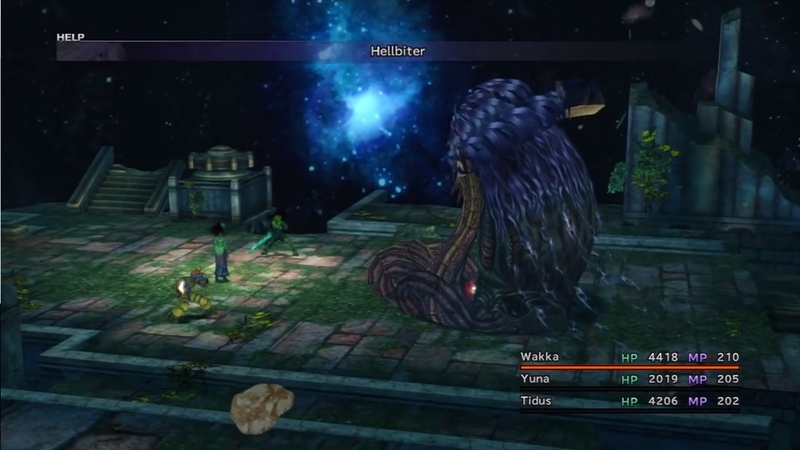 Cycle between healing and attacking her to reach the second stage of the fight. When Yunalesca transforms into her second form, she will have access to an attack called Hellbiter. This inflicts the zombie status to the target. Yunalesca will then cast Curaga on those in zombie status to deal high damage. It is recommended to have at least one character under the zombie status before you defeat the second form to survive her Mega Death instant kill attack in the third phase. To counter her healing, you can cast reflect to make the spell bounce back to Yunalesca. It will, unfortunately, heal her, but this is better than taking damage. When she casts a regen that bounces back on her, use Dispel to stop her from healing. Continue pummeling her with physical attacks and magic, though save enough MP on Yuna to so that she can regularly use Dispel. Reapply Reflect when you need to. During Yunalesca’s third form, she will immediately cast Mega Death on the entire party, killing anyone who is not under the zombie status. Revive any fallen allies and bombard her with Overdrives and Holy until she is defeated. After defeating Yunalesca, head to the chest just ahead before the stairs to get the Sun Crest. Head down for a cutscene with Auron. The Destruction Sphere can be obtained after defeating Sin aboard the Fahrenheit. Return to the Cloister of Trials and step on the white panels found in the first and second rooms as indicated below. Head back to the first room to find the wall opened. Get the Destruction Sphere and place it in the pedestal on the right in the second room to get the Magistral Rod.